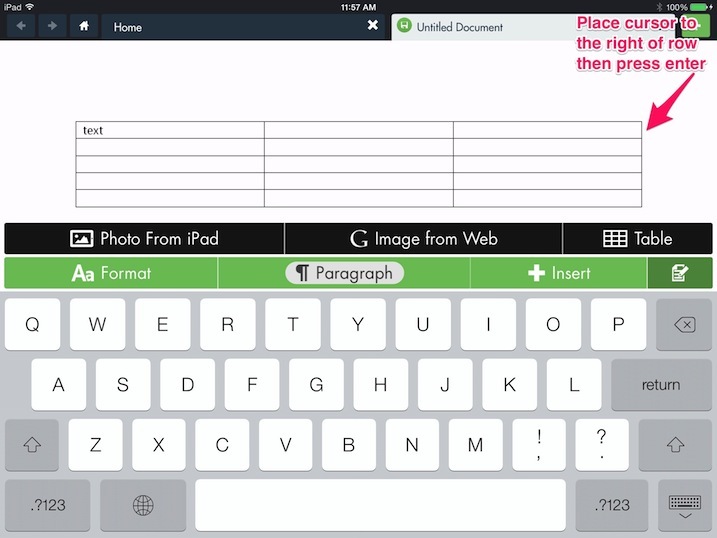 hopTo allows you to insert and edit tables directly from your iPad. 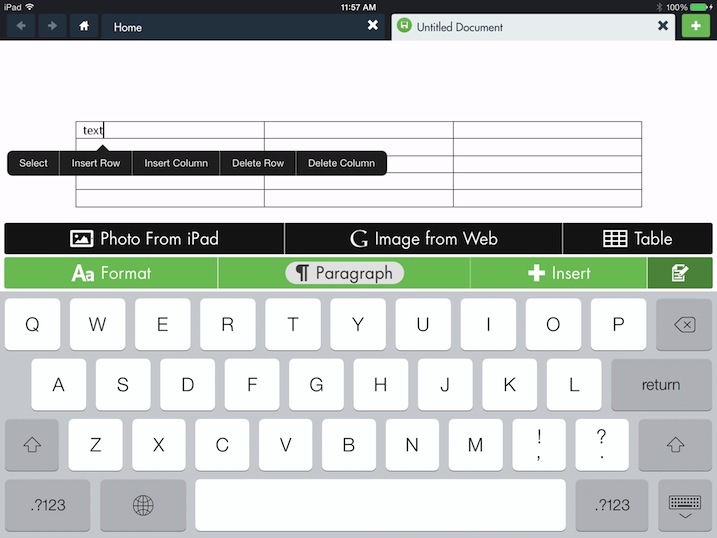 Click here to learn how to insert a table into a Microsoft Word document using the hopTo app. Editing the content of a cell is similar to editing other parts of a Word document. Tap in the desired cell to place the cursor and begin editing. To learn more about editing capabilities, click here. Tap and hold a cell in the row beneath where you want to place a new row. In the pop-up menu, tap Insert Row. To delete a row, tap on Delete Row. Another option for inserting a row is to place the cursor to the right of the row above where you want to insert a new row. Once the cursor is placed, tap enter and a new row is inserted below. Inserting a column is done the same way as inserting a row. In the pop-up menu, choose Insert Column to add a new column to the right of the column where the cursor is. To delete, tap on Delete Row.